The Cruise Industry News Quarterly Magazine Fall issue is now available. Feature coverage include an exclusive China report with input from the leading operators and travel agents, analysis of the market dynamics and market forecast. The Asia Pacific region and Australia are also covered with cruise line interviews and port developments. Shipbuilding is another major section with in-depth coverage of the major builders and how they are adapting and gearing up to meet the demands of a record orderbook, plus executive profiles. A design section covers the latest trends from leading design firms and an in-house designer. Food and beverage coverage ranges from latest trends in the short cruise market to long luxury cruises, Greek flavors, whole animal eating, Chinese wines, new beverage menus and more. Technical articles focus on zero emissions ship aspirations and the pathways to getting there, including LNG and shorepower. In addition is an expedition market update and much more. 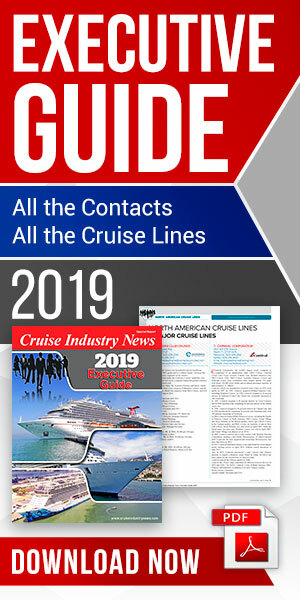 The 136-page Cruise Industry News Quarterly Magazine Fall edition is available on a subscription basis from Cruise Industry News.